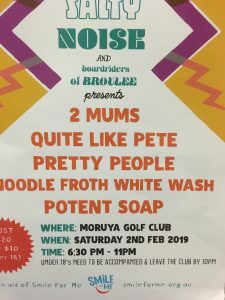 A massive thankyou to Sade & Jo Fafie of the Broulee Board Riders Club for supporting us at their Salty Noise event. 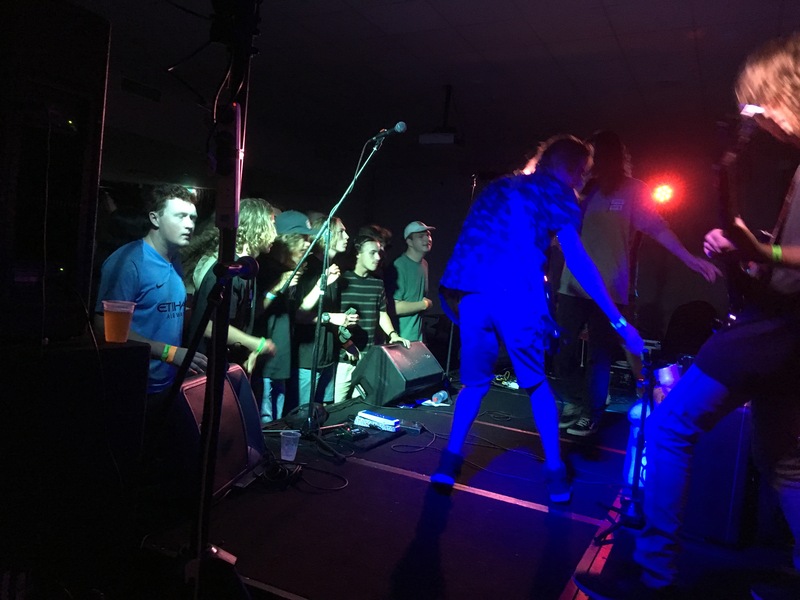 We were invited to attend Salty Noise at the Moruya Golf Club last Saturday night. There were 5 local bands including the Pretty People & Quite Like Pete. It was an all ages event & it was great to see such a turn out. 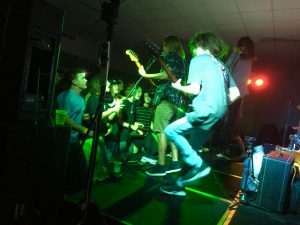 The energy on the night was fantastic. It was lovely to visit the beautiful south coast & enjoy such a fabulous weekend. 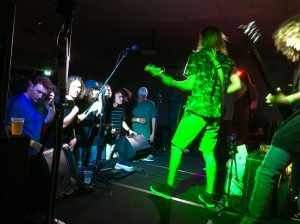 The event raised $1250 towards our surgical mission coming up next month. We look forward to attending again next year.